This is a general overview of Ignite, I will do a separate technical overview in another post. So my bags were packed 30 minutes before leaving for the airport. My route was LHR > JFK > MCO and with a short connection. It left me with enough time for a plate of Chicken Wings at Buffalo Wild Wings at JFK. So with fuel on board, I headed to MCO and landed. I found out where my colleagues were so I got an Uber straight to the bar where they were. Sunday was set up day, but a lot was done on Saturday by colleagues. However, on Sunday was all about perfecting the demos. Getting the customised branding and workflows right. 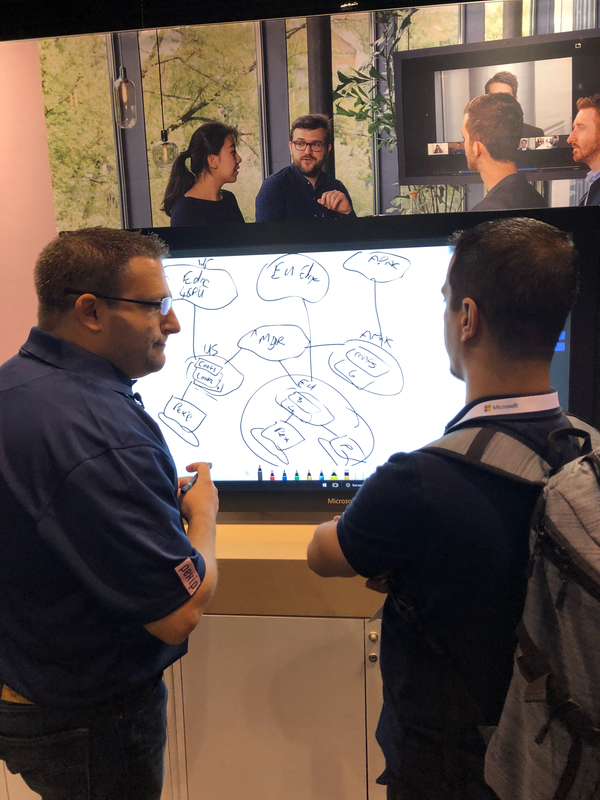 We also had Microsoft Teams meetings scheduled on the Microsoft Modern Workplace booth, so failure was not an option. We were happy with everything and packed up. Randomly, as we were waiting for a colleague to collect their swag, I had someone come up to me and introduce themselves to me. He follows me on social etc. It was quite an honor. A little star struck. Ignite Day One – We are ready!! So with the launch of the new Pexip brand, we were ready for business. 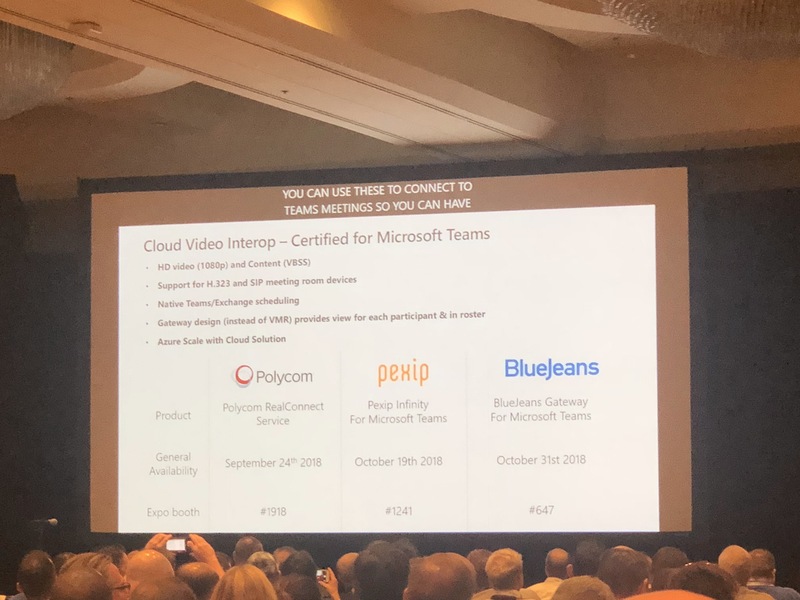 During the Modern Team keynote in the afternoon with Lori Wright from Microsoft, Heidi Gloudemans presented that the three Cloud Video Interop (CVI) providers were going General Availability (GA). These were Pexip, Polycom and BlueJeans. Polycom announced availability right now, Pexip will be available on October 19, 2018, and BlueJeans at the end of October. 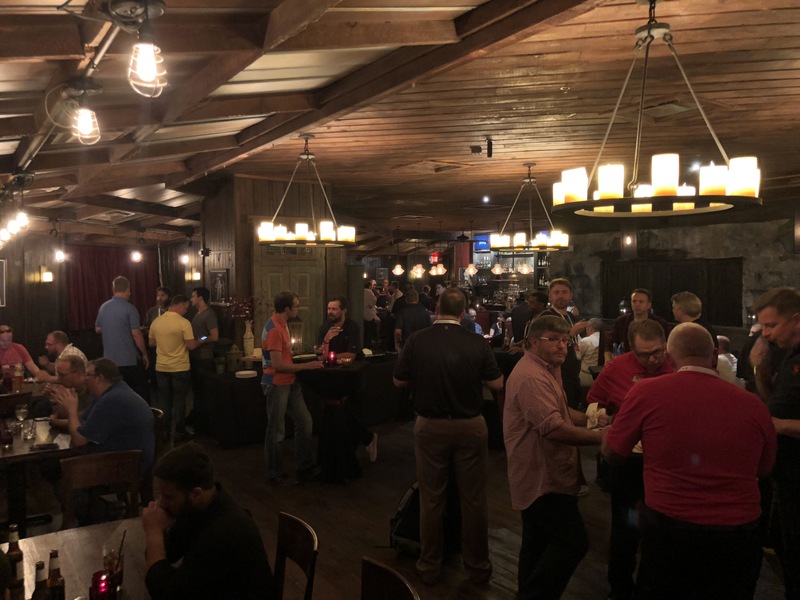 So on Tuesday, the booth was busy again and I headed over to the Community Central area as it was the Microsoft Teams meetup. It was nice to see some old faces and friends along with speaking to some new folks who I’ve got to know from their presence from Twitter, Tech Community etc. In the afternoon, it was the main event, a session dedicated to Cloud Video Interop by Heidi and Sri from Microsoft (who is the Program Manager for CVI). There was a good overview of the platform, how it was developed and demo and a customer case study video. There are similarities with Polycom and BlueJeans, but Pexip is very different. 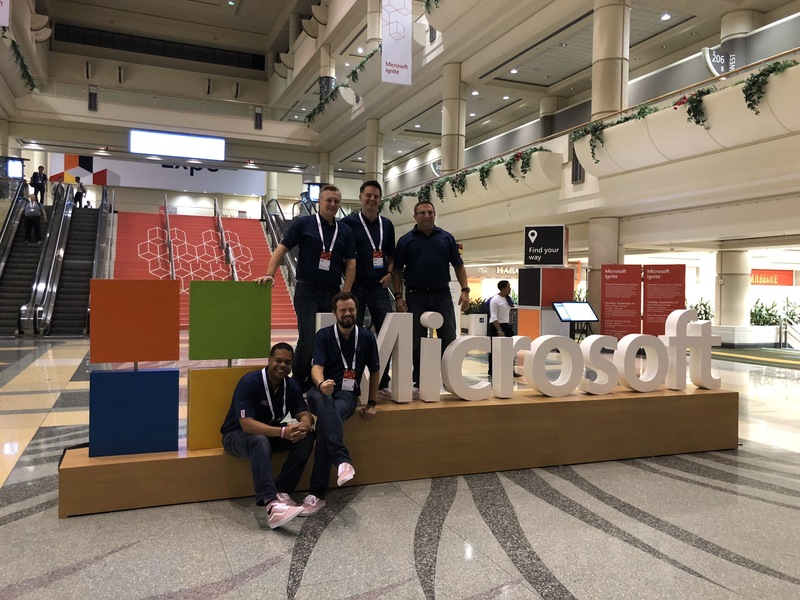 On Wednesday morning, there was the session for Skype for Business Server 2019. Typically I got caught up in a customer session, so I missed it, but the great thing it is all streamed online so I can view it later. I got to the next session in my planner which was Intelligent Meetings in Microsoft Teams, again with Heidi and Amey. There was also a useful customer case study from Air New Zealand about their journey to Teams. This covered new things like background blur, companion app sharing from a mobile device and of course CVI. 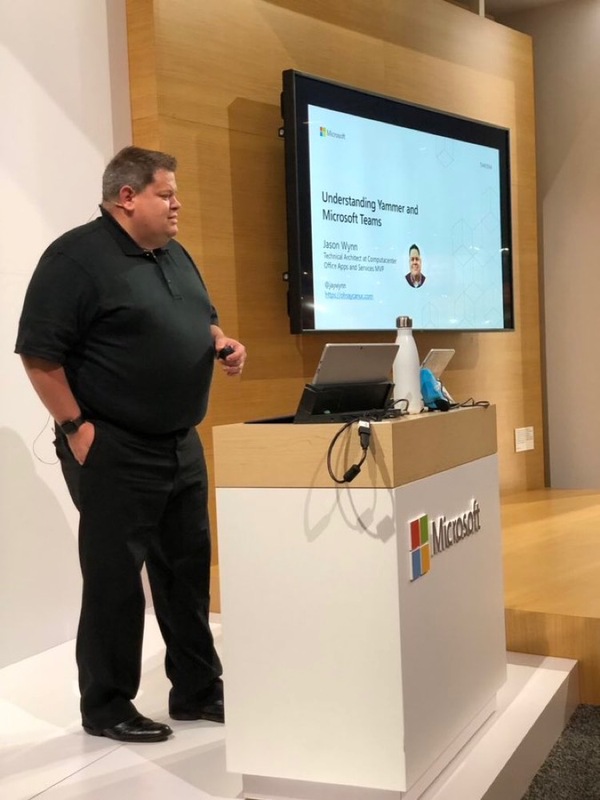 The next session I went to was all about devices for Microsoft Teams. Certified Devices at that too. Delivered by Ilya Bukshteyn and Angela Donohue. 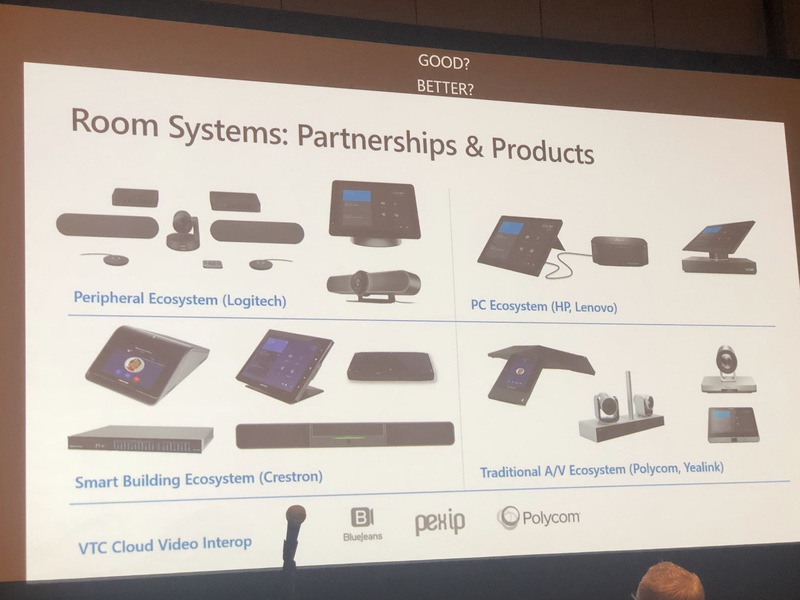 Crestron and Yealink were the biggest winners here. Crestron with a full suite of products including phones and Yealink entering the SRSv2 portfolio. What was clear from this session is that any other device not mentioned in this session is not certified for Teams. It may work day 1, day 10, but may not work on day 20, 30 etc as Teams is updated regularly. The way around this is obviously Cloud Video Interop. Next up, was the Pexip party. This was an invite only event and it was great to meet everyone that attended. We had quite a few MVPs there too which was great as they are so knowledgeable. Had a few comments about the food. Best food at any Ignite party. The beef rolls were awesome. Again, I was planning to get along to a few sessions, but that didn’t happen. I did watch back the session with Sri and Adam Jacobs of Polycom. This covered voice and video into Microsoft Teams. Another busy day speaking with customers about how to migrate their old Cisco, Polycom etc. video infrastructure to a modern based virtualised platform that is certified for Skype for Business and Microsoft Teams. 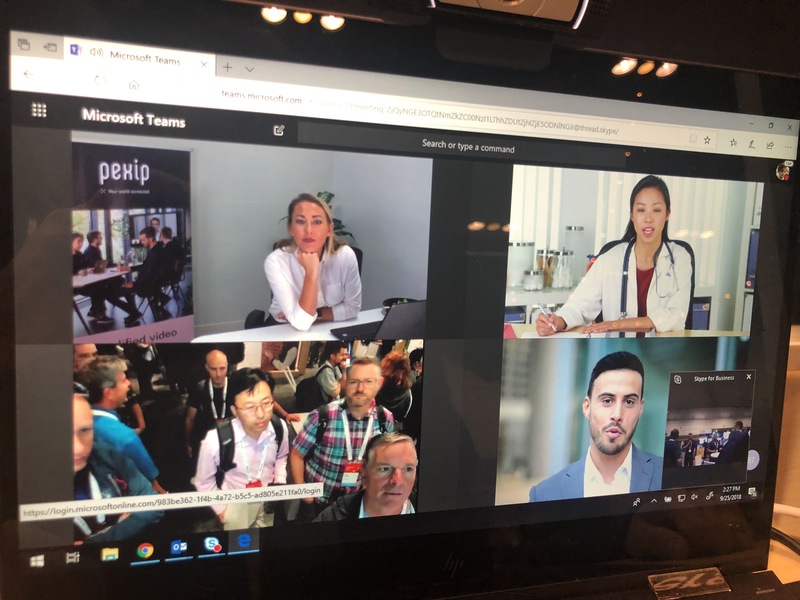 We also managed to record a demo overview of Pexip Infinity for Microsoft Teams. Once the Expo hall was closed, it was time for some Aquavit. Unfortunately our transport case for the Surface Hub did not turn up until 8:45pm, so we missed the celebration at Universal Studios. One day I’ll get to visit the parks. Been going to Orlando for 10+ years for conferences and have yet to experience at park!! So this was the time for me to travel home, but there was one session I will get to watch back. That was How Skype for Business on-premises customers can take advantage of Microsoft Teams meetings. This means if you are sticking with Skype for Business Server, you can move your meetings workload over to Teams. An interesting combo as the Teams meeting experience is great, plus with CVI, anyone can use it. As a side note, one of the Pexip swag items was Swell water bottles. 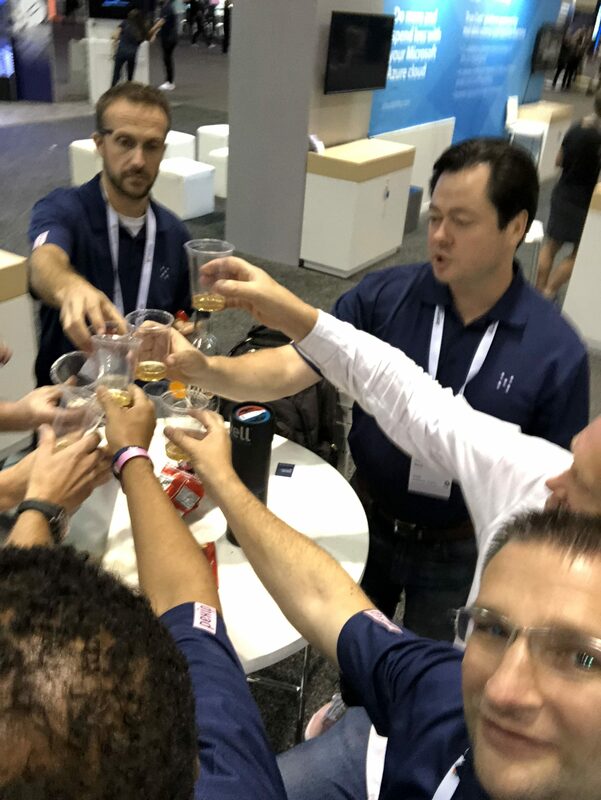 My good friend Jason Wynn picked one up from the party and had it on his desk at his session around Yammer and Teams. He turned his back and it was gone!!! Don’t worry, he got another one. So that’s it from me for 2018, it was great to be there representing Pexip and to meet people and network. I was listening to some of Josh Blalock’s community reporting whilst driving back to the airport and they all mentioned that they didn’t get to as many sessions as planned, as there was so much networking to be done. As mention, all sessions can be viewed back online (well some are still missing). Here is a video overview of the event in two minutes.